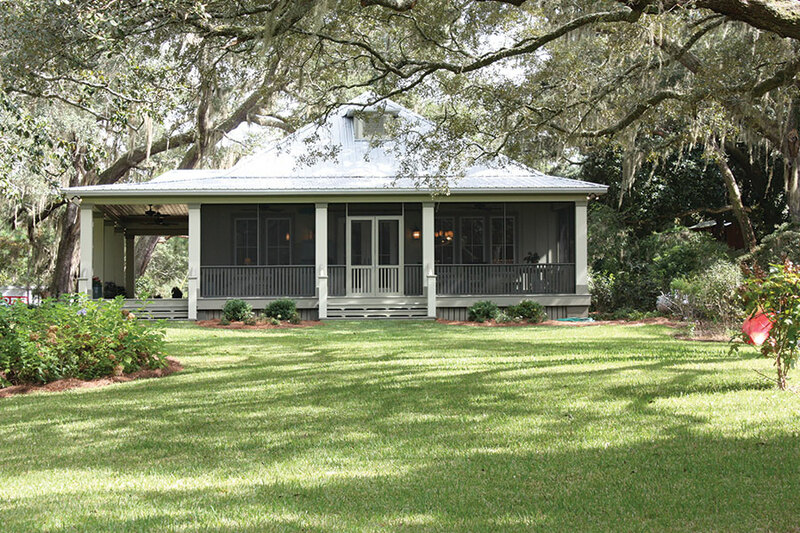 Dave Miller and Maureen Fitzgerald wanted to build a new home on beloved family land overlooking the Fish River in southern Alabama. The wrath of Hurricane Katrina made it clear that stronger homes were necessary to weather the storms that lash the Gulf Coast on a regular basis. But they wanted the new house to be energy efficient, too. Most importantly, the home had to look like it belonged on the two acres that includes waterfront on the scenic Fish River. Dave’s parents contributed the land, part of a larger estate that was a former hunting lodge built in 1902. “Our vision was to have a property that was on the water, had land to garden, a place for the dogs to run, and a great open floor plan for living, being and entertaining,” Fitzgerald says. In researching construction standards and building techniques, Miller was intrigued by insulated concrete form (ICF) construction. The foam blocks are lightweight and result in durable, energy-efficient construction. The concrete core, supplemented by a grid of steel reinforcing bars, provides a disaster-resistant shell. 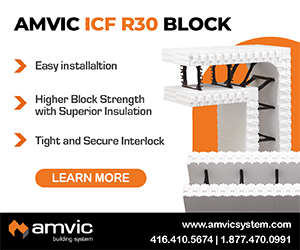 Because of their benefits, ICFs are desirable in above-grade applications as well as foundations. 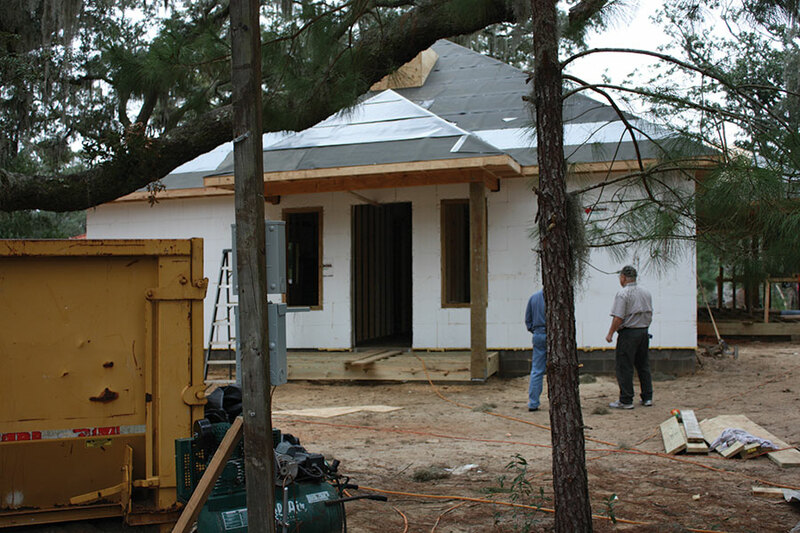 Dave initially contacted Rodney Hubble of Force 5 Walls Inc., an experienced ICF distributor and installer in Magnolia Springs, Ala. Hubble, in turn, made connections with Tom Aiken of Aiken Design and Construction in Mobile, who designed and built the house. Aiken used 4-inch-core Fox Blocks on this project. 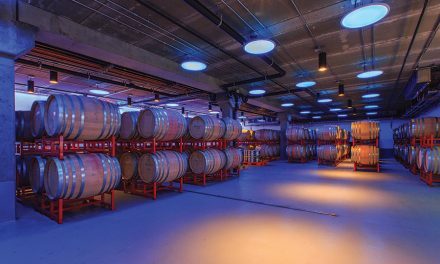 The concrete provides strength, durability, and low noise transfer while the foam adds insulation value to the concrete. 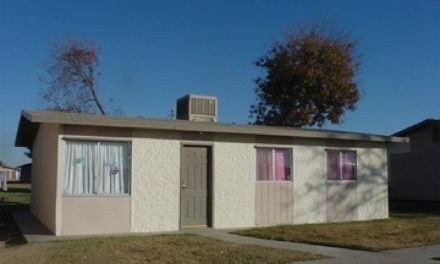 The home was designed and built using techniques approved by the Insurance Institute for Business & Home Safety (IIBHS). 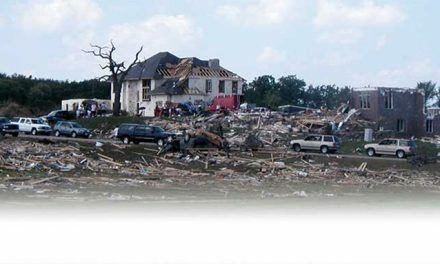 This organization administers the Fortified For Safer Living certification (FFSL) program, a national, third-party verification program that assesses the condition of a home and then prepares it to meet specific, regional natural hazards. 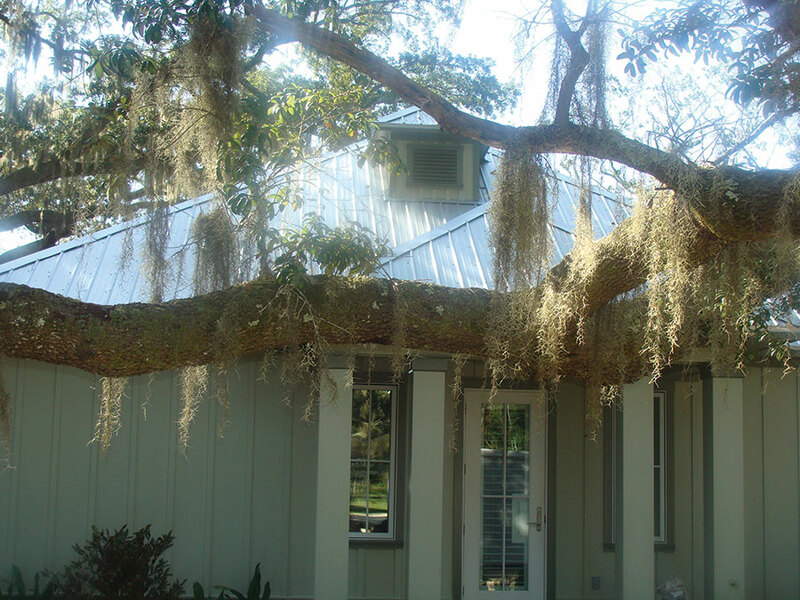 For Alabama, that meant protection from hurricanes and the ability to withstand winds up to 185 mph, so in addition to ICF walls, Aiken incorporated a number of hurricane-resistant, “code-plus” measures, such as 4-inch-on-center nails on the roof edge and windows with a DP-50 rating to withstand Force 5 hurricane winds. 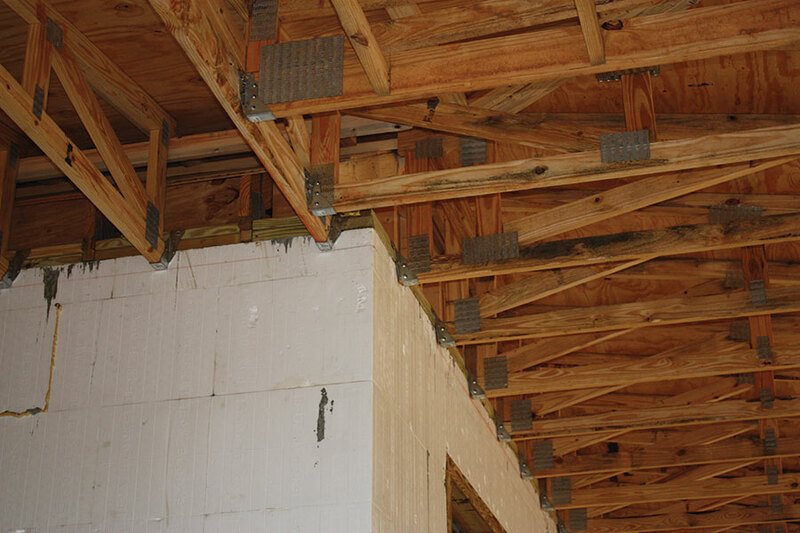 To achieve Fortified standards—which this home did—engineering details and photographic documentation must be provided, showing water barriers, connection details for trusses, porches and other components and photos from foundation footers to the shingles. The extra effort paid off in a safer home that also received lower insurance costs. 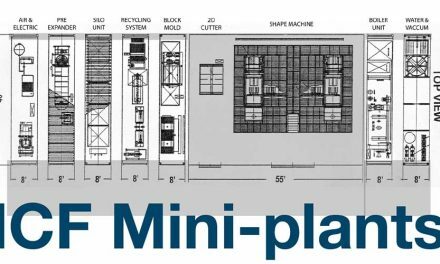 Because of Aiken’s careful planning, ICF construction did not cost significantly more than other building methods; the total cost was about $150 per sq. 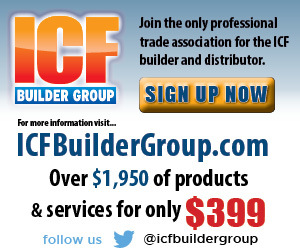 ft. Fitzgerald estimates that, thanks to a 60% reduction in insurance premiums, any extra cost associated with ICF construction will be paid off in no more than two years. But that’s not the only financial benefit. Aiken reports that before construction had even begun, he was able to secure a builder’s risk policy that was about one-fourth the cost compared to a wood-frame home of similar size he was designing at the same time. Also, the home is expected to cut bills for heating and cooling to around $100 a month, compared to $300 to $400 for wood-framed homes. The home is called “The Lodge at Marlow” in honor of the original hunting lodge on the property. It’s built in the Low Country vernacular with a metal roof and wide wrap-around, screened-in porches facing the river to catch the afternoon breeze, cooled by the shade from the 200-year-old oak trees that line the property. Native wood features prominently in the design. Aiken created stained wood ceilings in the 14-foot high vaulted great room and crafted the porch from North Alabama pine. 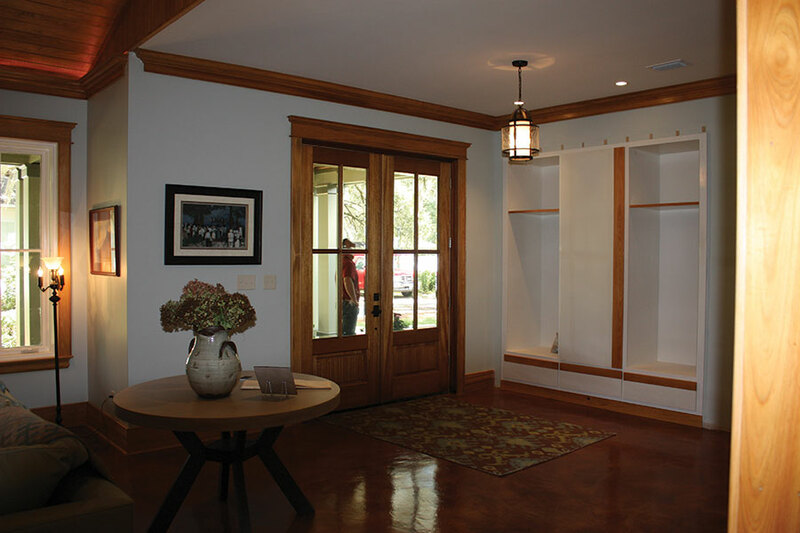 The crown molding and trim in great room as well as all the cabinets are stained Cypress. The bricks used as pavers and walkways are pre-1900 and are from the house next door, which originally had seven chimneys, and had been stacked at the back of their property for more than 50 years. 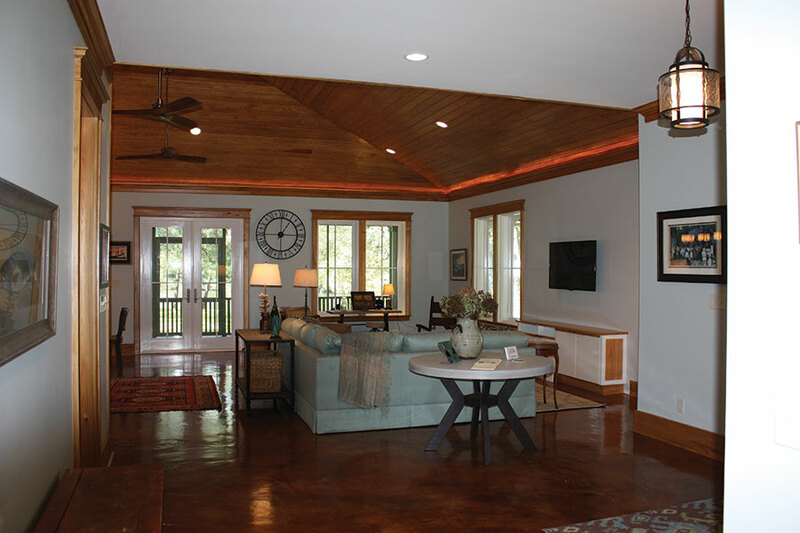 Most of the floors are finished with a stained concrete overlay throughout house. “We are absolutely thrilled with how it has all turned out and think that folks will agree that the Lodge at Marlow is a believable and realistic house that people can relate to,” Fitzgerald said. Fitzgerald and Miller are now enthusiastic proponents of ICF construction. 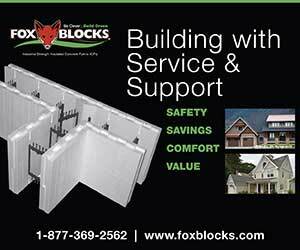 When the home was featured in the Baldwin County Home Builders Association Parade of Homes, the owners requested a sample Fox Block form and ICF marketing materials to display on their dining room table during the event.